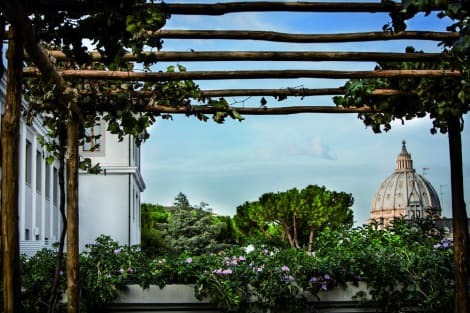 B&B Al Colonnato di San Pietro is located 100 meters walking distance from the Basilica of St. Peter in the Vatican City and Vatican Museums and a 20 minutes walking distance from Navona Square, from which you can visit points of interest as Pantheon, Spanish Steps and Trevi Fountain. For shopping, 10 minutes walking you can reach commercial streets as Via Cola di Rienzo, Via Ottaviano and Via Candia. B&B is equipped with quiet rooms with every comfort: safe, minibar, air conditioning and heat, TV satellite, free WiFi and internal or external private bathroom. Make yourself at home in one of the 44 individually furnished guestrooms, featuring minibars and LCD televisions. Complimentary wireless Internet access keeps you connected, and digital programming is available for your entertainment. Private bathrooms have rainfall showerheads and complimentary toiletries. Conveniences include phones, as well as safes and desks. Located in Rome (Vatican), Hotel Alessandrino is within a 10-minute drive of St. Peter's Basilica and Sistine Chapel. 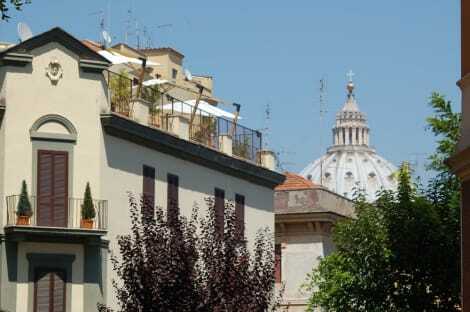 This hotel is 0.7 mi (1.2 km) from St. Peter's Square and 1.3 mi (2.1 km) from Castel Sant'Angelo. Take advantage of the hotel's room service (during limited hours). Continental breakfasts are available daily for a fee.